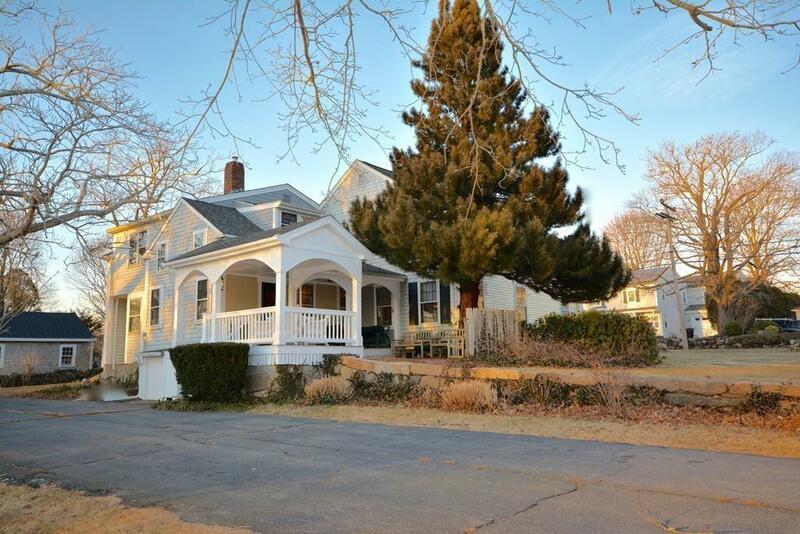 Updated and very comfortable Padanaram Sea Captain's house on half acre corner lot with marina at end of cross street. Huge kitchen w/center island, 2 walk-in pantries, window seat, desk area, working fireplace, built-in china cabinet and entertainment cabinet, cherry custom made cabinets, wide-plank flooring and room for table seating 12. 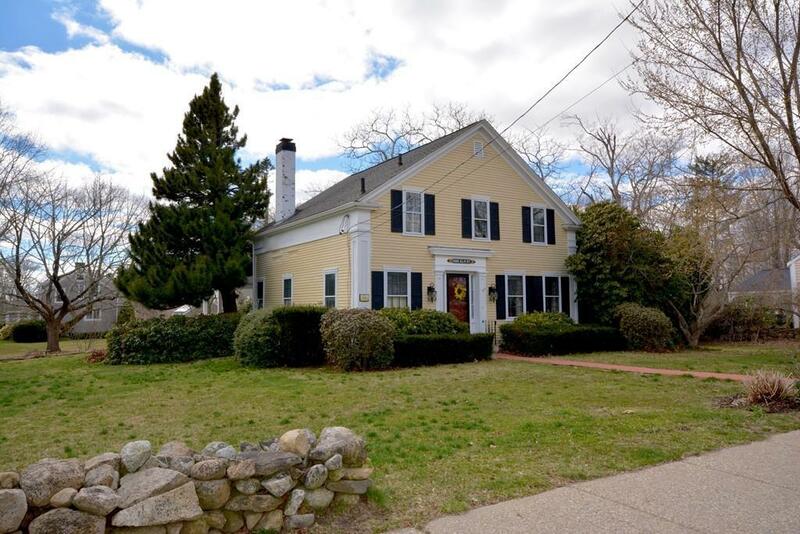 Also on 1st floor, original dining room with 2 built-in cabinets and oak floors, family room w/working fireplace and built-in bookcases, tucked away study w/built-ins, formal, piano-sized living room w/parquet floors, first floor bath w/shower, laundry, and front and back staircases. Upstairs are 3 very large guest or children's bedrooms w/ample closets, huge bathroom w/tub and shower, and separate master suite w/private bath and 3 closets. Central air. 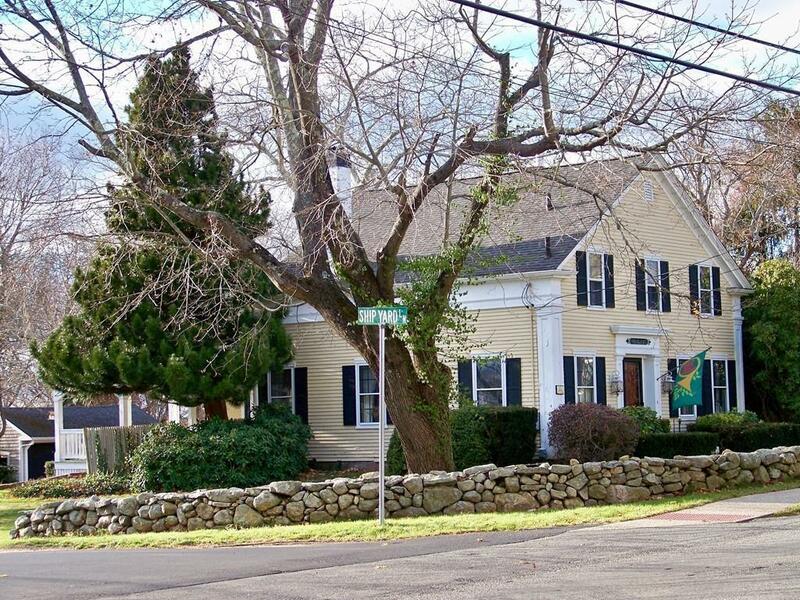 Bounded by stone walls on 3 sides, covered rear porch, detached 2-bay garage and lush grounds w/irrigation. Parade route for community celebrations. This Home is a great value. Listing courtesy of Robert Hamilton of Olde Dartmouth Real Estate. Disclosures Broker And Agent Owned. 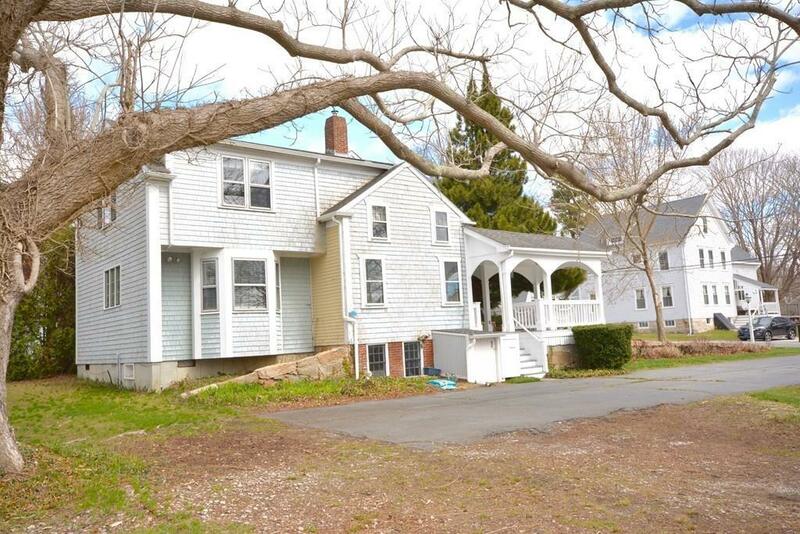 Listing provided courtesy of Robert Hamilton of Olde Dartmouth Real Estate.